Tucker attended Kansas State University where he studied Architecture with a focus on Philosophy of Design Theory, graduating in 1996. Following graduation he worked as an architect in Kansas City and in the Chicago area for over 10 years. Seeking a professional outlet to further explore design, Tucker turned to creative building toys and specifically the LEGO brick as a medium. 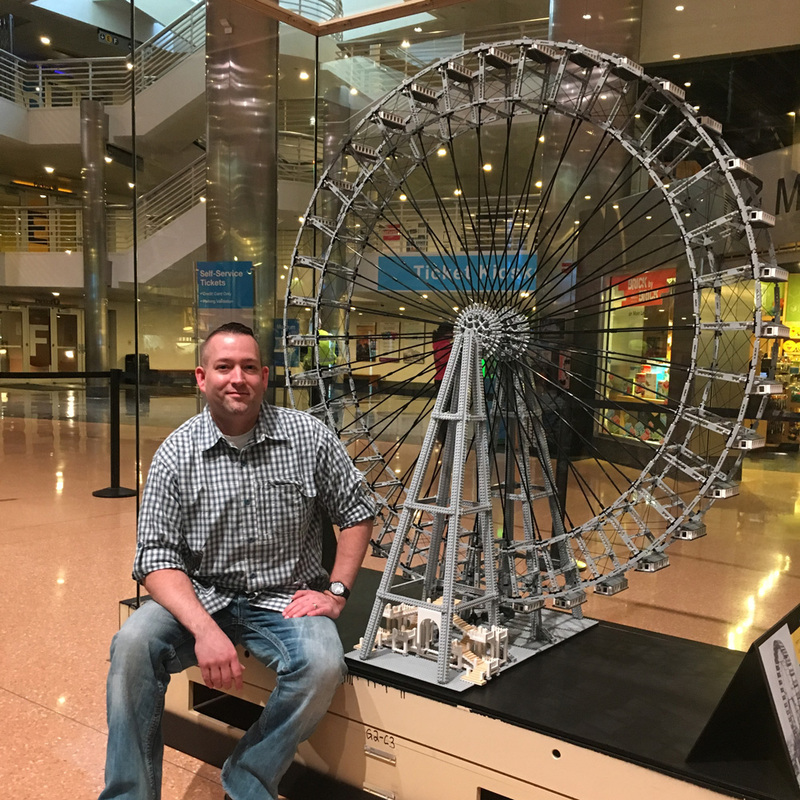 He quickly discovered a passion in using the brick as an outlet to explore and explain architecture and engineering principles and has displayed his models – skycrapers, roller coasters, fantasy architecture, and more at conventions and private showings. His passion led to working with the LEGO Group to develop new initiatives. The creator of the popular, award-winning LEGO Architecture line, featuring iconic buildings from around the world. Tucker is also the founder of Brickworld, the largest LEGO fan convention in North America. Tucker also continues to work with The LEGO Group as a LEGO Certified Professional. 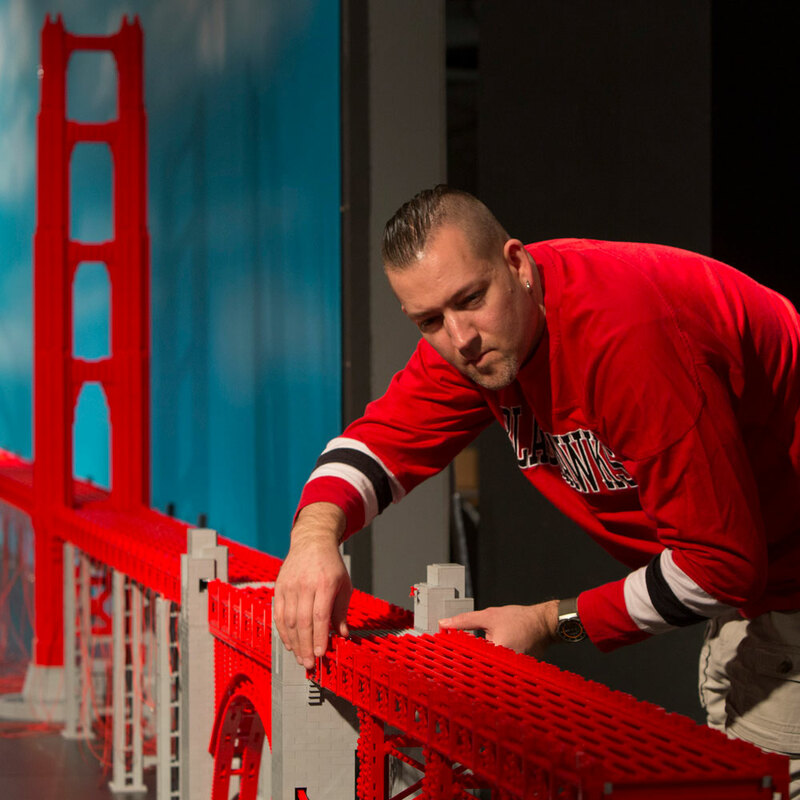 In 2009, his first exhibit featuring famous landmarks and skyscrapers constructed completely of LEGO bricks debuted at the Museum of Science and Industry in Chicago and has since toured several museums in the U.S. including The Henry Ford in Dearborn, MI, The National Building Museum in Washington, D.C., and the Figge Art Museum in Davenport, IA. Blocks to Bricks is Tucker’s latest endeavor, creating a new outlet to display the history of construction toys and medium and inspire all builders. 1996, he received a Professional Degree in Architecture with an emphasis on Philosophy and Design Theory at Kansas State University. 2007, Adam’s company, Brickstructures and The LEGO Group entered into a partnership to offer a new LEGO line called LEGO Architecture. 2008, Adam became 1 of only 12 worldwide LEGO Certified Professionals. 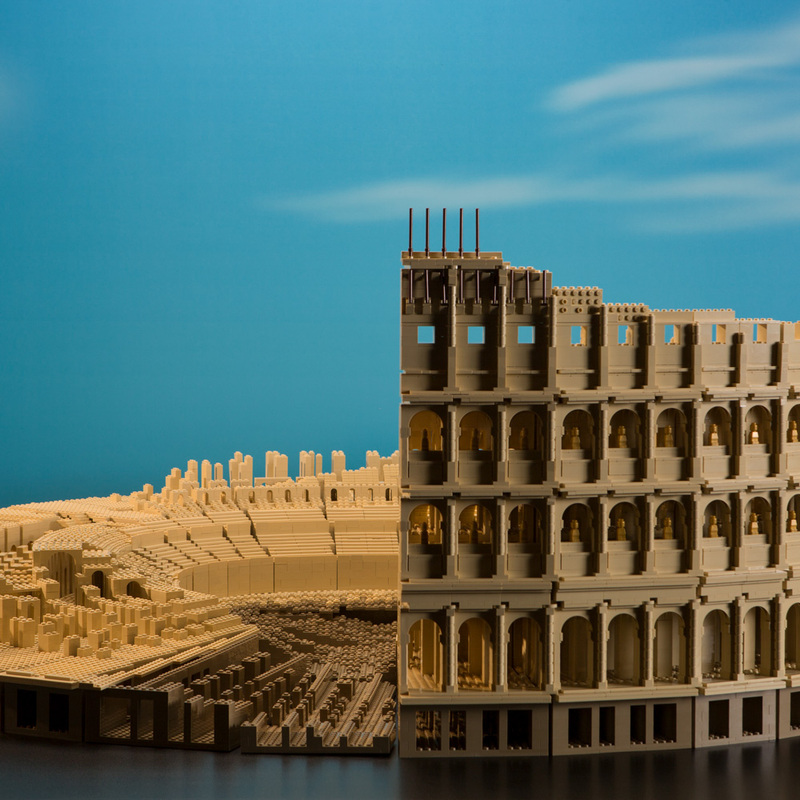 2009, The “ART of Architecture” exhibit officially debuted at the Museum of Science & Industry in Chicago. 2010, Adam started implementation of the Brick into the classroom where students learn hands-on the power the LEGO brick has beyond its identity as just a toy. 2011, The “Towering Ambition” exhibit opens at the National Building Museum in Washington, DC. 2012-2016, Adam’s time is now spent solely on the research and development of new ideas and products with the LEGO Brick. In addition to touring exhibits, Tucker’s commissioned work is on display in corporations, public venues and private collections throughout United States and the World. 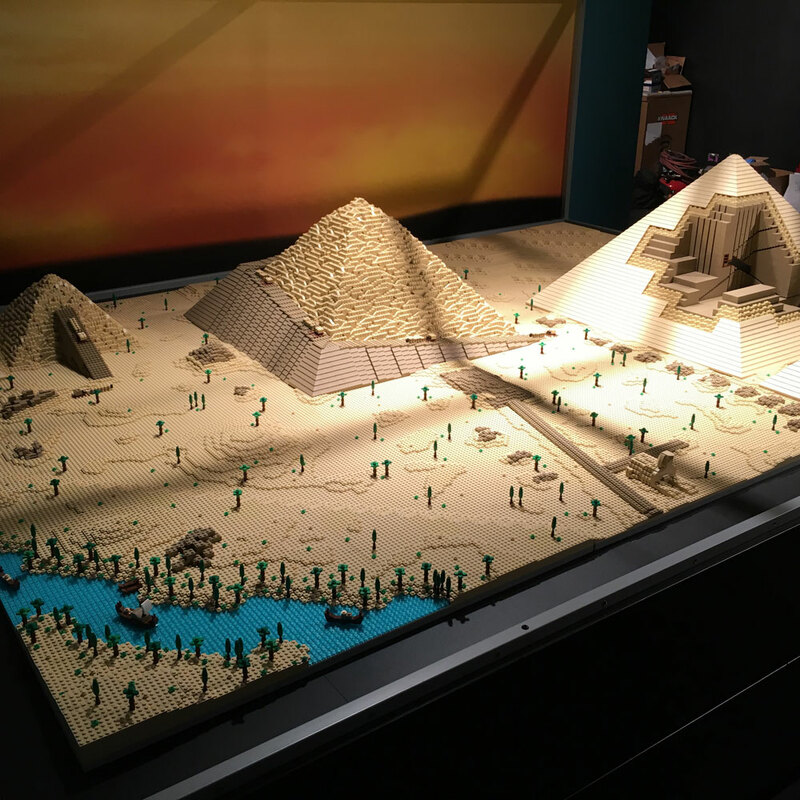 His most recent exhibit Brick by Brick, featuring marvels of world engineering including a 60 ftl long Golden Gate Bridge, the Hoover Dam and the St. Louis Arch remains open at MSI in Chicago through April 2018. Experience the evolution of creative toys!